There’s no reason why you shouldn’t be split testing every single cold email you send. Cold email templates save you the time you’d otherwise spend writing out individual messages by hand. But all templates are not created equal. How can you tell whether the messages you’re sending are as effective as they could be? Sounds great, right? Yet, despite the clear benefits, nearly 70% of email marketers surveyed by YesWare don’t use A/B split testing in their campaigns. Let’s break down each of these issues, in addition to exploring the solutions that will help anyone using cold emails in their sales process to take advantage of this powerful technique. HubSpot used A/B testing to determine whether their audience responded better to emails that featured the company or a real person as the sender. Sending from a real person won, driving 0.53% more opens, 0.23% more clicks and 131 more leads. An A/B test for Money Dashboard found that focusing on their business (with the subject line “Please put us out of our misery”) — rather than on recipients themselves — resulted in a 104.5% increase in opens for inactive subscribers and a 103.3% increase in clicks for active subscribers. While these aren’t exclusively examples of A/B testing on cold sales emails, they don’t need to be. What these — and the hundreds of other case studies published online — demonstrate, is that split testing your sales emails can drive performance gains, no matter what you’re selling or what industry you operate in. Determining what to test in your cold emails can be challenging — but not necessarily for the reasons you expect. 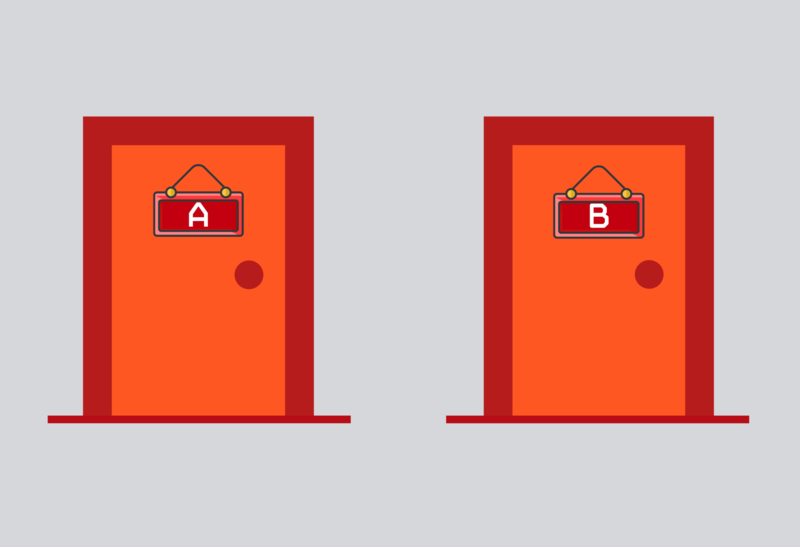 Far from having nothing to test, marketers face a seemingly-endless number of options. That can make moving forward more paralyzing than if you had nothing to test at all. 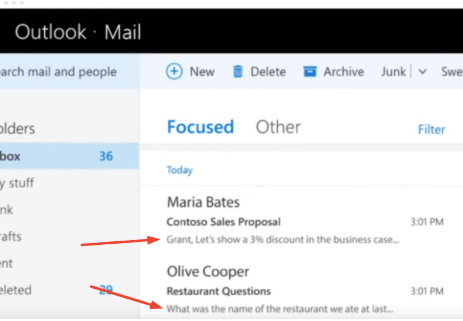 Since your subject line is the first thing prospects see in your inbox, it makes sense to start here, as improvements can translate directly into more opens (and then, potentially, more clicks, replies and conversions). Don’t overthink it. Test Hubspot’s wisdom for yourself by shortening the subject line of one of your existing templates and A/B split testing the two. Finally, test the specific action you’re asking prospects to take. While we all know not to ask for the moon on first contact, you may still see a major difference in performance by asking to send a proposal versus asking for a call back. It’s not that these tests aren’t important. Focus on your big wins first — especially if the limited volume of messages you send makes it difficult to reach statistical significance. One of the beautiful things about A/B split testing your cold emails is that you don’t need a fancy monitoring system to determine whether or not the changes you’ve made are having an impact. If your email marketing provider offers tools that measure statistical significance, that’s great. Use them. Efti recommends picking up the phone after sending cold sales emails to gather the kinds of qualitative data he mentions in the quote above. 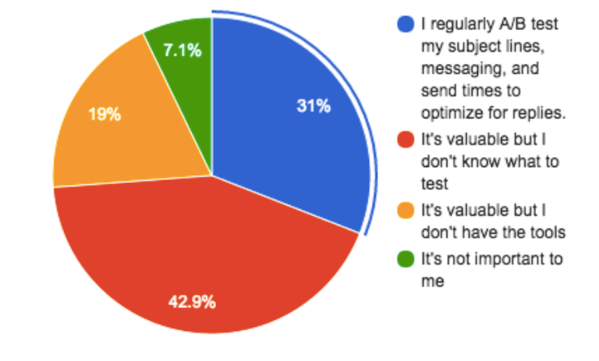 Asking what in your message resonated for recipients — if anything — can give you as much valuable insight for improving your campaigns as you’ll gain from running tests to statistical significance. Ultimately, sending cold email messages to sales prospects is as much an art as it is a science. Combine the strategies described above with gut instinct and feedback from your prospects. Continually test new messages and new templates to find your winning combination. What other tips do you have for split testing cold sales emails? Share your suggestions by leaving a comment below!